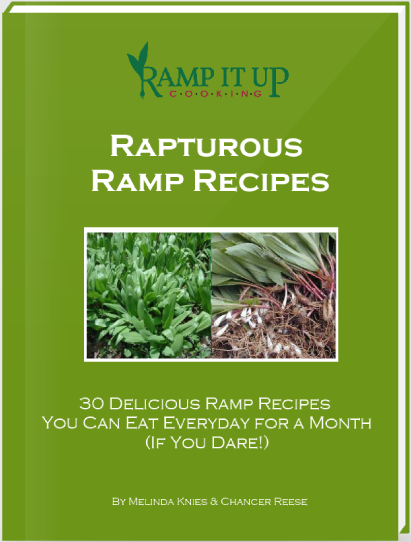 Ramps – Shred it thin and long. Rinse in cold water multiple times to remove the slimy stuff. Soak it under cold water for an hour or more to soften its sharp taste. Onion – Using mandolin or food processor, slice it very thin. Rinse in cold water multiple times and soak it for an hour or more to soften its sharp taste. Lettuce – Rinse in cold water and drain completely. Cut it to bite size pieces. Dressing – Mix all ingredients. 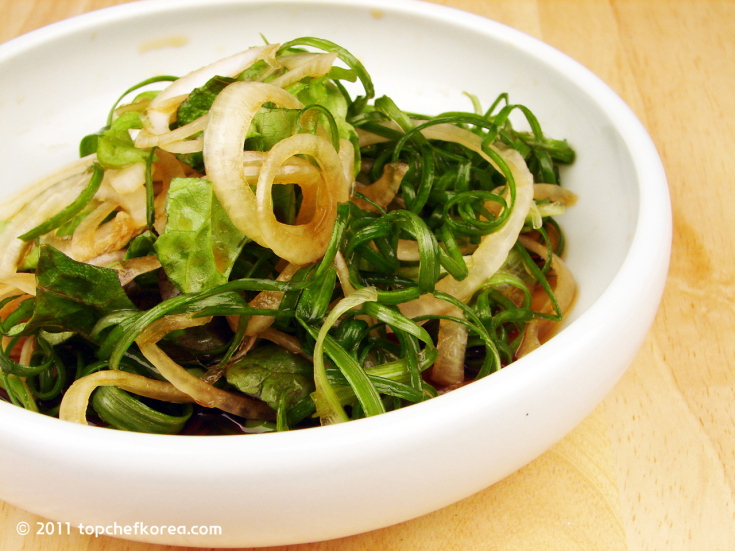 If you want it to be more spicy and red (remember, green onion and onions are already spicy), add chili peppers. You can use Korean chili pepper flakes (goh-choo-gah-roo) or crushed red chili peppers (the one you use for pizza). I personally prefer for the latter for this salad. Sesame oil is also optional. Drain the ramps and the onions completely so that it won’t water down the salad. Use your salad spinner or paper towel to completely remove excess water. Place in a bowl. Add the dressing and mix to coat everything gently. Serve immediately.